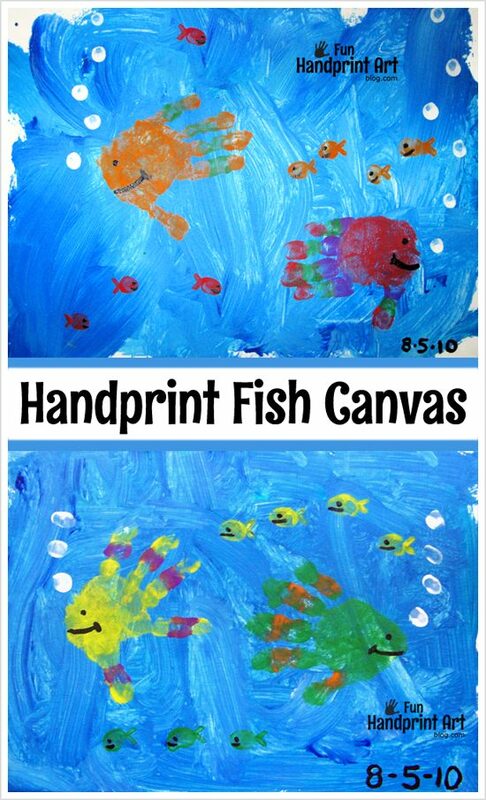 Our friend wanted to do a canvas painting with our toddlers and we decided on making handprint fish. While it’s simple enough for toddlers, it’s still fun for kids through early elementary aged. This canvas art can be used as home decor and doubles as a creative keepsake. We gave each of the boys their own canvas and let them paint the water background with white and 2 different shades of blue. Have them use a paintbrush to swirl the paint everywhere. This is a great way to get them more involved in the project. After it dried, we made handprints which we then turned into fish. You can design the fish however you’d like. Ours have a stripe or two on them. 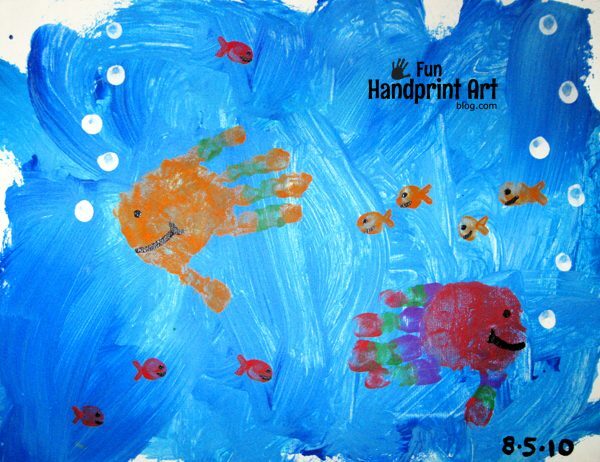 We also made thumbprint fish and fingerprint bubbles. Lastly, I painted in my son’s name (not shown) and the date. Such a cute decoration for our home! My son has his hanging up in his bedroom and his friend has his in their living room. 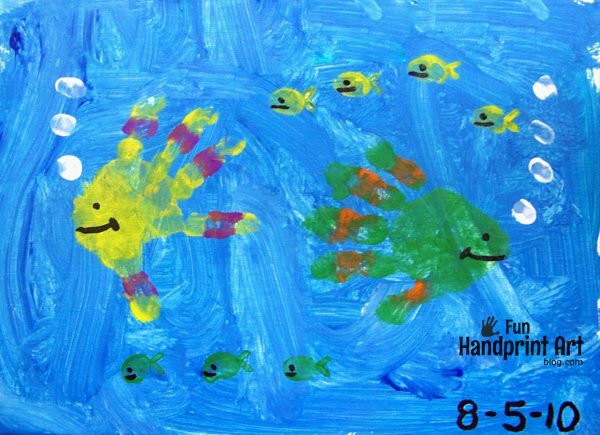 These handprint fish canvas keepsakes make great gifts such as a creative Father’s Day idea or a Christmas present for the grandparents.